So, you've been asked to be the MOH in your bestie's wedding—exciting! This guide to being a maid of honor will help you figure out this important role. 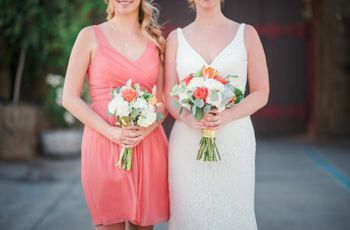 If your bestie just popped the big question—”Will you be my maid of honor?”—and you’ve never been an MOH before, you’re probably feeling quite a diverse mix of emotions and like you need a newbie’s guide to being a maid of honor. You’re probably feeling excitement because you get to be there for your friend on her wedding day in a big way, nervousness because you want to do your best and don’t quite know what to expect, maybe even a little overwhelmed imagining the cost of the whole thing. This first-timer’s guide to being a maid of honor will give you an idea of what’s to come, so you can spend more time on “excited” and less time freaking out. Your ultimate job is to be the bride’s sounding board. Whether you’ve planned a wedding of your own or not, your main mode as MOH will be hearing your bride out on her good days and her bad. She’ll be asking you your opinion, sounding off on things that are stressing her out, and basically treating you as a part-time co-planner throughout her wedding journey. We tend to think of maids of honor as the girl who holds the bride’s bouquet at the end of the aisle, but there’s a lot more in the way of emotional support that happens behind the scenes. To be a great MOH, all you have to do is listen to your friend and support her through her ups and downs. And be REALLY into her wedding, even if you’re not that into weddings. That’s it! Don’t be intimidated: She chose you because you’re so good at that already. But you’ll also do some legwork. 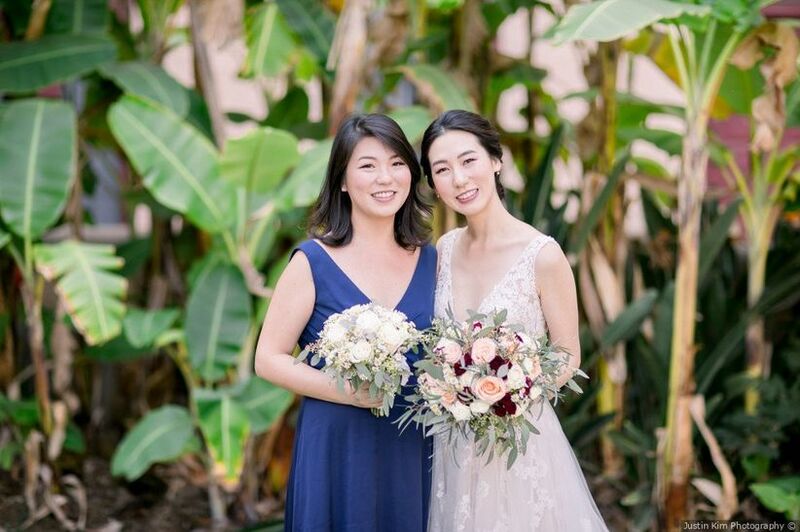 Listening and giving support to your friend might be your primary job, but, depending on what your bride envisions for her pre-wedding events and her wedding weekend, you’ll definitely have some work to do, too! 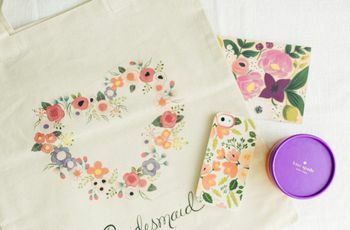 Typically, a maid of honor's duties include charge of planning the engagement party (if the couple’s parents aren’t doing it), plus the bachelorette and bridal shower. Along with party planning, you’ll also likely be the one helping to corral the other bridesmaids for pre-wedding tasks like dress shopping. And if the bride needs any hands-on help with things like DIYing decor or wedding day set-up, expect to be among the first people she calls. 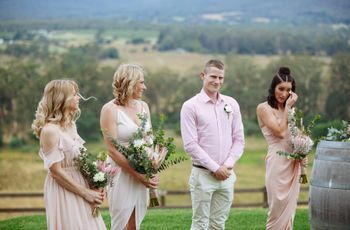 It sounds like a lot, but your bride and her spouse will have a ton of input on all of these events, along with the rest of the wedding party and her family, so don’t feel overwhelmed. You won’t be on your own! You’ll probably have to make a speech. The part of this guide to being a maid of honor that usually caused the most anxiety is writing and delivering a top-notch speech during the reception. That’s a huge responsibility and since not many of us are born writers or public speakers (in fact, for most of us, this will be our first and last time ever doing anything like this in our lives!) it can totally throw you for a loop. There are tons of resources out there to help you write a great MOH speech, but the most important thing to remember is don’t overthink it. Write from the heart, tell true stories, and you’ll do just fine delivering your speech. If you’re super-nervous, ask your bride if you can partner with some of your fellow bridesmaids to give the speech to take the pressure off of you. You’ll be doing so much more for your friend as she plans her wedding, the speech should not make or break your worth as a maid of honor! You’ll definitely spend some money. What you’ve heard is true—being maid of honor (usually) isn’t cheap. Of course, this all depends on your bride, but the general rule of thumb is you’ll spend more than the average bridesmaid, and probably even more than you expected. 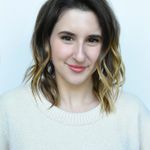 You’ll be in charge of covering everything a bridesmaid is (likely your own outfit, maybe your own makeup and hair) plus some extras like bachelorette party invites, decor and bookings, engagement party necessities, and some other odds and ends throughout the bride’s wedding planning process. You’ll likely also be in charge of collecting group funds from the rest of the bridal party, and you may have to cover other girl’s in the meantime while they get you their money. So, to be on the safe side, it wouldn’t hurt if you saved up a little bit after you accept the MOH position—you’ll be glad to have the reserves. At the same time, don’t be afraid to draw a line if the costs become too outrageous. You shouldn’t go broke being an MOH—if you have to decline certain expenses, offer to be there for your bride in ways that don’t cost anything (like helping her craft decor or source vendors). You’re allowed to have a life. When it comes to this guide to being a maid of honor, you should expect to be there for your friend more than you ever have before, yes. But if your job as an MOH is getting in the way of your day-to-day life, or impacting your job, or making you put your own relationships on the back burner, something isn’t right. Remember, the wedding belongs to your bride, and her future spouse—you’re not there to take the place of the partner who’s “not that into planning” and you’re certainly not a wedding planner. If you’re feeling overwhelmed by your responsibilities, it’s important to be honest and reset expectations with your bride. The sooner, the better, because most Bride-MOH conflict comes from a lack of communication over duties. You can be a drama-free MOH, have a great time doing it, and not turn into a bridezilla-by-proxy in the process. It’s all about balance! It’s such a media stereotype to think of being maid of honor as if it will be a chore, but ultimately, this should primarily be a fun and bonding experience between you and your bride.